The nomination deadline for the 2017 Best Construction Blog competition is approaching — it is Jan. 31. 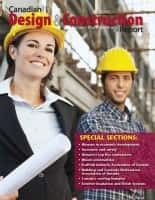 The competition provides an ideal opportunity to promote your blog since I review all qualified entries, and these are included in the ongoing Construction Blogs and Resources directory. In other words, your (or the third-party blog you recommends) receives positive search engine optimization and marketing results, just for entering the competition. The judging process combines a popular vote competition from Feb. 1 to March 31, and independent judging. The two elements ensure both robustness and opportunity. Large organizations with many clients, employers and suppliers can certainly induce huge popular vote results — and these are helpful in getting your blog onto the shortlist for judging evaluation (and the judges can consider popular vote in their decision.) But you don’t need a huge following to get enough votes to remain in contention — and then the intrinsic design and effectiveness of your blog will give you the edge at the judging stage. There’s no cost to enter the competition. Blogs should be directed either by or for architectural, engineering and construction businesses/practices in either the residential or commercial sectors. The competition is world-wide, but we can only review English-language blogs. 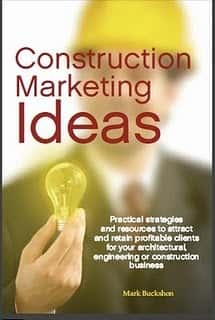 If you have any questions or requests regarding the competition or the nomination process, please email me at buckshon@constructionmarketingideas.com.